Secret Place is a special place, a place where melodic, upbeat psychedelia and warm, intimate lyricism meet. According to the lyrics, those places could include various planets and the surface of the sun, but there is nothing wrong with some imaginary traveling supported by a killer soundtrack. With elements of dreampop and psychedelia -- the band calls it "beach wave", the ten tracks on the album present a hazy celebration of the inner space of both the performers and the listeners. It is sweet, sunny and playful, all qualities which pop music should have more of. The Zephyr Bones are Brian Silva (guitar/vocals), Jossip Tkalcic (guitar/vocals/synth), Marc Lopez (drums), and Carlos Ramos. The band is based in Barcelona, which is the hometown of Marc and Carlos (bass). Brian and Jossip originally are from Chile. 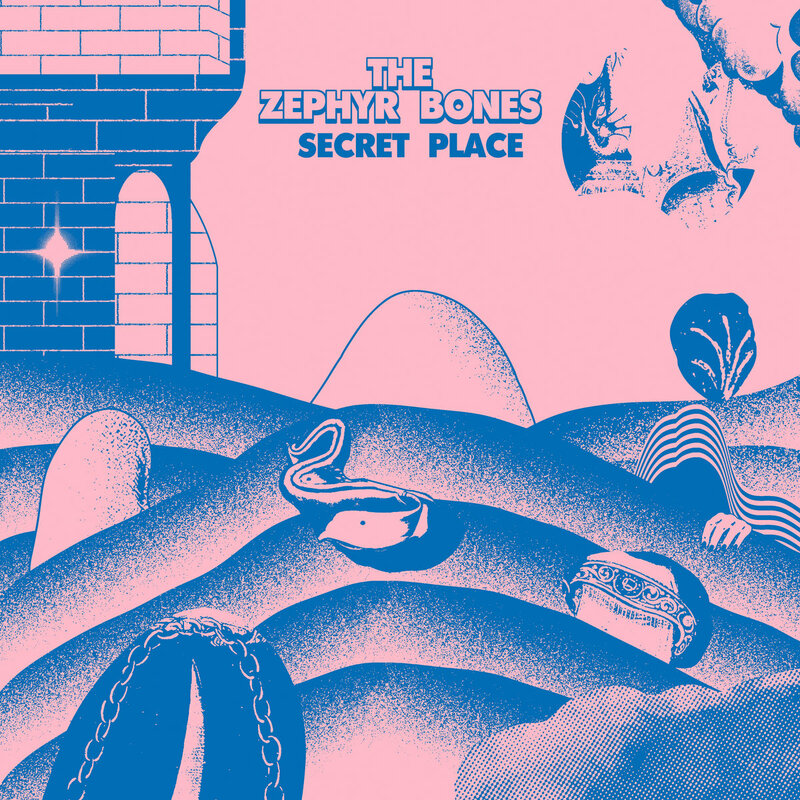 Secret Place is out now in CD, vinyl and digital formats via La Castanya.